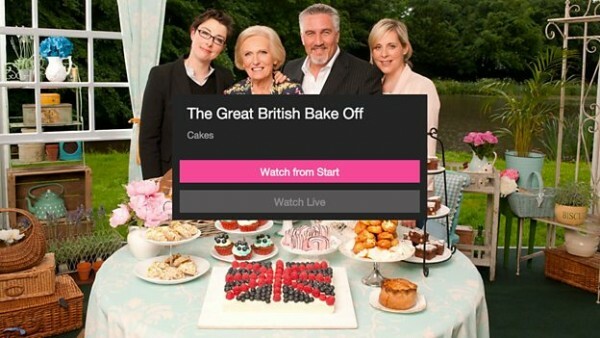 BBC iPlayer has unveiled a new feature that allows users to jump back to the beginning of a live programme without having to wait for it to end. One of a number of improvements to the service announced today, the Live Restart feature – which already works on desktop versions of the app – is being rolled out to smart TVs. Cross-device pause and resume – the ability to pause a stream on one device and then pick it up on another – has also been added, as has the My Programmes section, which already works on the iPlayer website, but will now expand to mobile devices. The feature stores favourited and watched shows in a single section. The iPlayer remains the largest provider of online video in the country, with 31% of UK adults viewing over the past 12 months, well ahead of Netflix and Amazon. Last year the service was redesigned "from the ground up" to include more advanced recommendations, smarter search and image-led navigation, as well as more exclusive content including Peter Kay's Car Share. It saw a record 2.6bn TV requests across 1,700 devices and platforms in 2014.